Considering using Essiac While on Chemo? Read on. 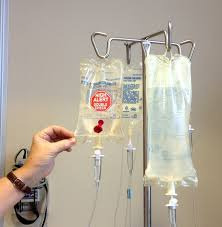 If you are considering using essiac while on chemo, no worries--we have many customers doing just that. However, there are a few things you need to know about essiac while undergoing a round of chemo. Essiac is 100% safe to take alongside chemo treatments. Not only that--but essiac can help those undergoing chemo treatments. It's no secret that chemo has a bunch of unpleasant side effects. Essiac can help all of these symptoms. So, as we said, essiac can be taken along with chemo. However, we do advise that you take the aggressive PLUS dose of 6 oz. of brewed tea three times per day when undergoing chemo The reason is because the chemo can take away some of the effectiveness of essiac. Therefore, a higher dose is needed. The other reason for the higher dose is because most people undergoing chemo are dealing with a fairly aggressive cancer. Because essiac needs a full six months to work, taking the highest dose is suggested. "Courtney is doing really well, for the first few days she had a headache and slight diarrhea her urine was deep green. Now a week later she has no headache no diarrhea and her urine is normalish. Courtney's appetite is better, and after 4 days of taking the essiac there is a big difference in her energy, she said "she feels like she has a spring in her step" also what we have noticed is the brown rings around her eyes are lifting especially underneath, its amazing. Courtney has her chemo tomorrow and a ct scan on the 12th June, when we get the results of this scan, Courtney is going to tell her oncologist that she want a 2 month break from chemo, in that 2 months she will be taking essiacs only and will be scanned to keep an eye on her cancer." Dose of the tea. Last week she got her results from the blood work and pepscan. The doctor said that she was cancer free! I still give her the aggressive dose three times a day. It seemed like the tea kept her from losing her hair, and it maintained her energy levels. I want to thank you so much for making it possible to buy the tea at such a low price . if it wasn’t for you guy’s I don’t think I would be able to afford to buy it from the health food stores since there prices are ridiculous. THANK YOU AGAIN FROM THE BOTTOM OF MY HEART!" Click here for more information on the essiac dose for those using essiac while on chemo. Click here to order the most popular size for those on chemo.